Disclaimer: the work linked below reflects the view of the author and does not necessarily reflect the view of ISPU. Dr. Julie Macfarlane is Distinguished Professor and Professor of Law at the Faculty of Law of the University of Windsor. She has received a number of professional honours in the course of her career, including the David Mundell Medal for Legal Writing (2016), the Institute for Social Policy Understanding Scholar of the Year Award (2012) and the International Academy of Mediators Award of Excellence (2005). Her weekly blog on the SRL phenomenon won a 2015 Clawbie for best Canadian Legal Blog for a non-lawyer audience. Julie has researched and written extensively on dispute resolution and in particular the role of lawyers. 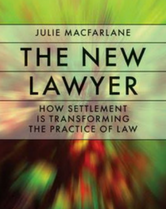 Her bestselling 2008 book The New Lawyer: How Settlement is Transforming the Practice of Law (University of British Colombia Press) is based on hundreds of personal interviews with lawyers and their lawyers. It has been the focus of dozens of workshops conducted by Dr Macfarlane in the US, Canada, the UK and Australia and a 2nd edition is forthcoming. 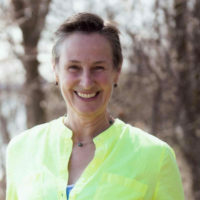 Julie was the editor of Dispute Resolution: Readings and Case Studies (Emond Montgomery), a student text used widely in ADR courses in Canadian and US law schools for the first three editions, and continues as a chapter author in the 2015 4th edition. 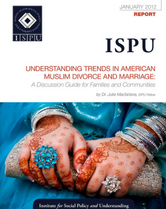 In 2011 Julie completed a four-year empirical research project examining the use of Islamic family law principles and values in divorce processes conducted by third parties in North American mosques. 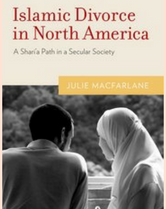 Islamic Divorce in North America: Choosing a Shari’a Path in a Secular Society was published by Oxford University Press in April 2012. 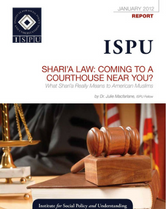 This work has been featured in numerous media reports on shari’a law. Julie continues to publish and speak in this area (for example, “Practicing an ‘Islamic imagination’: Islamic Divorce in North America” in Debating Shari’ah Selby J. and Korteweg A. [eds] University of Toronto Press 2012 and “’Difference’ or ‘sameness’? Law, social ordering and Islamic marriage and divorce in North America” Australian Journal of Family Law 29, no. 3 : 172). In 2013, Julie completed a major qualitative study of self-represented litigants in family and civil courts in three Canadian provinces, funded by the provincial Law Foundations. (See the Final Report of the National SRL Research Project.) The study methodology has been replicated by the Institute for the Advancement of the American Legal System at the University of Denver in four US states (report released June 2016). Julie continues to work on the issue of self-representation and the many challenges it presents for both SRLs and those working in the justice system as the Director of the National Self-Represented Litigants Project. Julie is an active mediator, and consults regularly on conflict resolution interventions, training, program evaluation and systems design for a range of public and private sector clients. Over the past 20 years, she has provided conflict intervention training for legal practitioners, law students, civil servants, union and management groups, aboriginal council members, legal aid workers and health care professionals. When It Comes to Sharia, Can Knowledge Trump Fear? Why Are We So Threatened by Shariah? ISPU scholars are provided a space on our site to display a selection of op-eds. These were not necessary commissioned by ISPU, nor is their presence on the site equal an endorsement of the content. 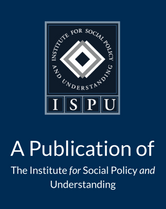 The opinions expressed are that of the author and do not necessarily reflect the views of ISPU.